I'm a serious sneaker lover. And so I'm always on the lookout for a new pair. 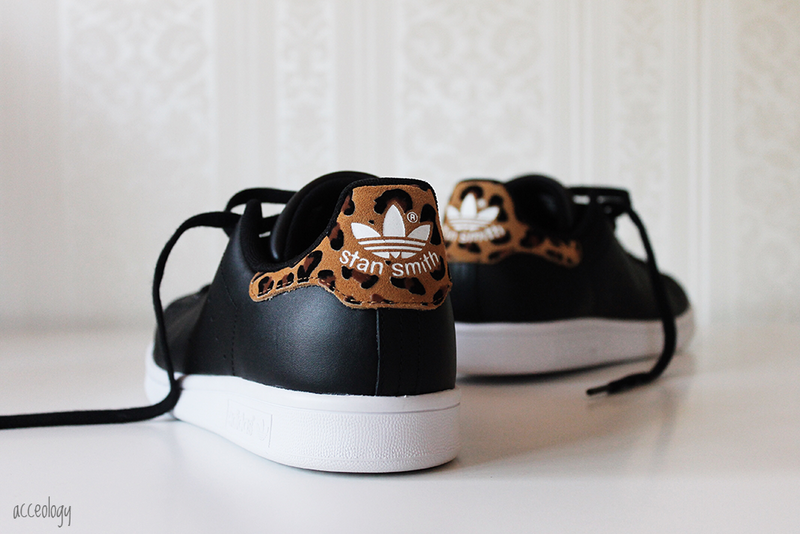 Seeing the white Adidas Stan Smith shoes everywhere had me seriously crushing. However, I'm really not a white sneaker kinda gal. Being quite pale, I really just can't rock them. 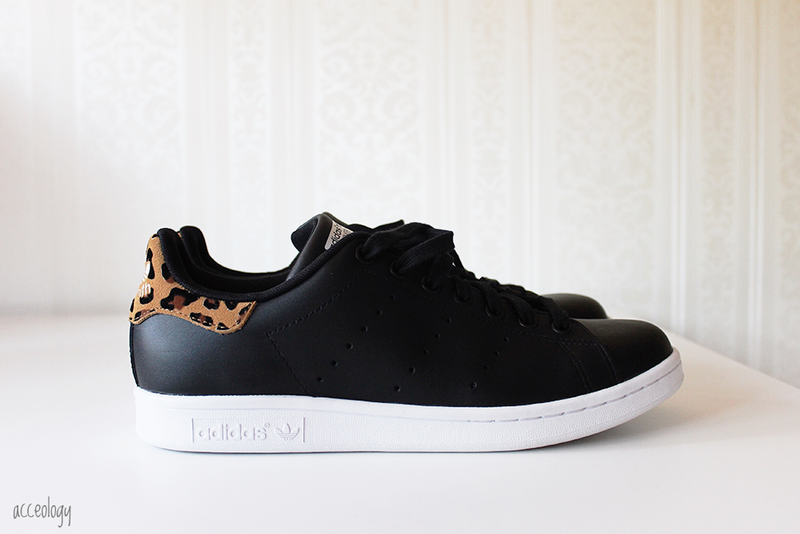 So when I was browsing the web and came across these black with a hint of leopard, I knew these were the ones for me. Most of my other shoes are just monochromatic colours, and I own nothing with leopard print at all! These are very nice change from the black and white high top Converse that I wear literally everywhere. I was surprised by just how comfortable these shoes are. They also look great with everything, from dresses to jeans to skirts. Perfect for all seasons. I can't wait to get to wearing these!